This property is 2 minutes walk from the beach. These north-facing apartments feature beautiful sea views looking out across the Bay of Islands. All units have heating, TV and DVD player. Some units are fully self-contained and include cooking facilities. Free WiFi is included. Nestled among beautiful trees in a secluded garden, Abri Apartments is an easy 5-minute walk from Paihia Wharf. The shops, cafes and restaurants in the heart of central Paihia are 3 minutes’ walk away. 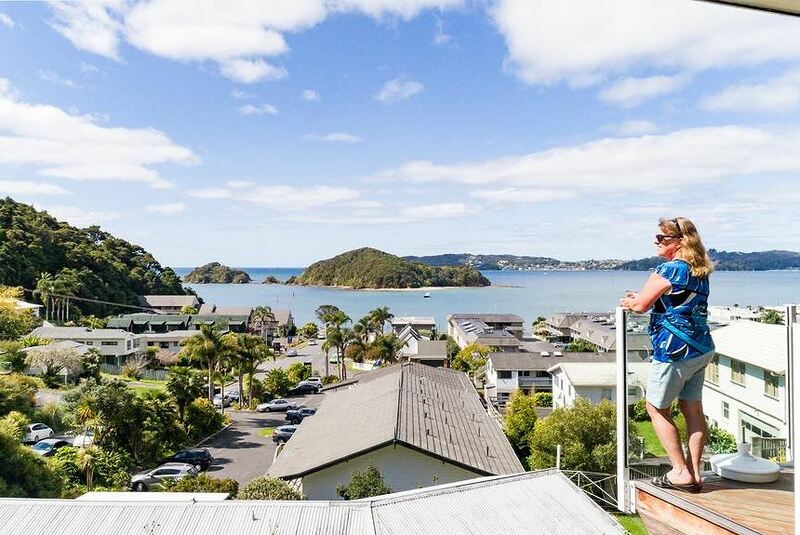 Each studio and suite at Abri Apartments Paihia is tastefully furnished, with comfortable lounge area, Flatscreen TV, stereo CD player, bluetooth speaker and a private terrace with views to Russell and beyond. Some studio apartments include a spa bath, dishwasher and air conditioning. Secure off-street car parking is provided. Self-service complimentary laundry facilities are available. Note:- Seasonal Rates Apply. RATES are indicative only.